We are not a mystery. We are exactly what our About Us page says. So far we have been able to protect the identities of our founder and contributing authors. We do this for two reasons: We are victims of dog attacks and the pro-pit bull community is loaded with intimidating, harassing individuals and groups. The privacy of our founder, Colleen Lynn, has now been removed. We have one guiding principal at DogsBite.org: We will not stop. DogsBite.org is a voice for victims who have suffered unbearable tragedy. Because of inadequate city and state laws, these same victims have little civil or criminal recourse. The very fact that this is true underscores the dire need for Breed Specific Legislation in our communities. DogsBite.org is a volunteer effort. We are not funded, we are not lobbyists, we are not a Political Action Committee. We are in fact citizens that know a thing or two about the Internet. It is our mission to do all within our power to educate communities and municipalities nationwide about dangerous dogs. Most Pit Bull owners I’ve met are delusional about their pet’s potential for volatility and ferociousness. Worse, those owners seem to become rabid and illogical when the topic of their pet’s breed comes up. There’s no denying it, though: Pit Bulls are fine animals. They can be social, affectionate and well trained. But when they lash out, they are more fierce, unpredictable and lethal than almost any other dog breed. In other words, they aren’t fully domesticated. They are fine creatures, but not suited for city life. Keep them in the country, if one wants partially domesticated animal, regulated by the same sorts or rules for owning a mountain lion or camel. If Ford was producing and knowingly selling a defectively dangerous vehicle called the “Pit Bull”, they would be on the hook for $Billions in liability! Dogs are big money, unregulated, and zero liability industry right now. The dog lobby is desperately fighting to keep it that way. They’ve staked out a de facto “pro mauling” position for themselves by denying a problem exists with certain breds of dogs. Until they push for legislation which ties civil/criminal liability to breeders of dangerous dogs, we know they don’t give a hoot about public safety. Thank you to Dogs Bite.Org for having the courage to tackle the for-profit breeder lobby and dogfighters who are behind a lot of the pro-pit propaganda. I have been a member of several dog training discussion forums, simply looking for information and advice on training. What I experienced was chilling. 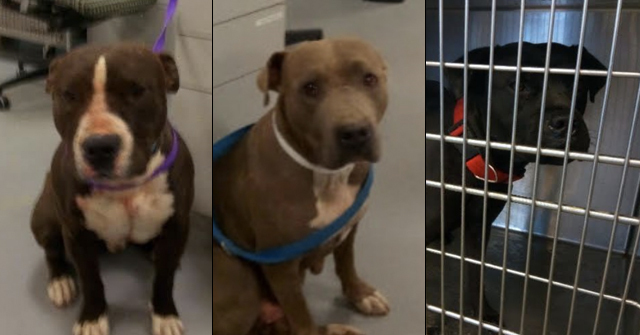 Posters who expressed any opinion that was not “pro-pit bull”, had reservations about the breed, or suggested that perhaps mandatory spay and neuter laws would help the overpopulation of these dogs, were verbally attacked, banned from posting, or, in many cases, physically threatened. Ms Lynn, I believe, will now become a target for harrassment by the bully breed lobby. I hope this organization will update the public on any threats to Ms. Lynn’s safety, and expose the real character of the breeders and owners of these dogs. Cherie Graves is a back yard breeder, trying to protect her own financial interests. Her MO is that she shows a few dogs to get their Championship titles, so she can claim she sells dogs from “Championship lines”, then breeds a bunch of untitled dogs in typical BYBer style. She has an outdated website where she talks about performance titles, yet very few of her dogs have them. She also does not do genetic health testing, like OFA screenings, on her dogs. The cost of a hip X-ray probably cuts into her bottom line profits. Cherie Graves proposed “dangerous dog” legislation is also worth looking at. Apparently, if you are at a local park or playground, and your child accidently wanders too close to a vicious dog and is mauled or killed, you are the one in trouble, NOT the dog owner…. 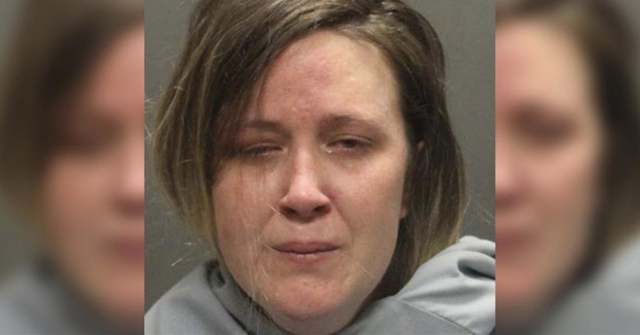 (i) Any parent whose child is bitten, or mauled by a dog, due to the parent’s inattendance to his/her child shall be charged with reckless endangerment of a child. (j) Any parent whose child dies as a result of a dog mauling, due to the parents inattendance, shall be charged with negligent homicide. Also, she seems to have a soft spot for dog-fighters…notice her carefully worded proposal to punish dogfighting specifies “in any public area”…so I guess it’s allright to fight dogs on private property? Her slap-on-the-wrist punishment for dogfighting? A fine!!! (b) A dog owner shall be charged with aggravated nuisance, and animal cruelty if he/she is found facing off dogs in any public area with the purpose of simulating a dog fight, or promoting a dog fight, or planning a dog fight, and fined five hundred dollars ($500.00). The dog owner shall be placed on strict probation for the period of one (1) year during which time if any violations occur, the dog owner shall be fined one thousand ($1000.00), and he/she shall lose custody of the dog, and any other dogs occupying the premises of the violator. The dog(s) shall be evaluated by qualified personnel, and either be placed in a responsible home, or be humanely euthanized. Lets expose Cherie grave for who she is…. a shady BYBer whose sympathetic to dog-fighters with delusional claims that there is no real pet overpopluation problem, and that the “shelters” on petfinder don’t really exsist! Getting dog safety information from a dog breeder is like getting lung cancer information from the tobacco companies. DogsBite.org THANKS YOU for all of your SUPPORT! Colleen Lynn is a caring contributor gifted with skills in artistry, technology, promotion and meaningful sharing. I am sickened by some of the tone discovered in my first reading about her “outing” when Colleen’s choice to remain confidential with DogBites.org was maliciously exposed. One horrifying incident of a dog attack is bad enough for her and now a privacy breach with vague threats lingers. She didn’t choose the worthy effort of DogBites.org as one might choose a charity or a volunteer role for a candidate. She was thrown in as one of the numerous victims of dog attacks and then stepped up (as she so often does) to take a stand and make a difference. It is sad that Cherie Graves, or through the guise of her lawyer, would deliberately treat someone with such a lack of respect. Cherie is shameful with the heartless decision and a devious tactic to expose Colleen. That malicious act eliminated Colleen’s careful personal choice to remain private. Once again we see that for some the best defense is an offense and such appears to be the strategy for Cherie and those she fronts. The statement in Cherie’s letter is awful “How dare you put Ms. Lynn into such a precarious predicament” and it turns my stomach. Why would someone reveal an obvious private choice and put a person in a known “precarious predicament?” Evidently Cherie has stayed too long near the periodic vicious behavior of a few dog breeds she tries to defend. This site is run responsibly, by someone who believes in a cause, and uses the legal and logical tools in her toolbox to get her job done. To be threatened or harassed by people who have no such scruples is a horrible thing. This site won’t come down, and its owner’s friends will continue to offer whatever support we can to help see her continue to work at her goals, safely and securely. This is a victims advocacy site, and the only one of it kind so far. 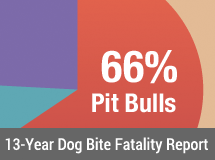 For years, the “pit bull lobby”, composed of owners, for-profit back yard breeders, and dog fighters, have organized to stifle any public conversation regarding what to do about the incresing number of violent dog attacks in this country. They use intimidation, threats, and bullying to stop victims from being heard. They show contempt for victims of serious, even fatal, dog attacks, including children, often insisting that the victims must have “provoked” the attack. Discussion forums, boards, and blogs where pit bull attack stories are posted are quickly circulated amongst the “pro-pit” websites and discussion boards. The members then flood the discussions with pro-pit propganda, using a standard list of talking points they regurgitate verbatum from their “pro-pit” websites. They attack anyone who feels pit bulls should be regulated, and generally extinguish any rational discussion on the subject. Their goal is to silence the voices of victims through aggressive intimidation. Dogbite.org is the first group to give voice to the victims of dog attacks, who are often victimized a second time by the aggressive, hostile owners of these dogs who refuse to take responsibility and who seldom are held accountable. Do not allow the victims voices to be silenced. Support Dogsbite.org. Man!…These Pit nutters are on Colleen like a Pit Bull on a Poodle!!! You would think after the bloody year of 2007 where Pit Bulls killed 22 Americans, they would start being responsible and police their own ranks. I guess demonization is easier road. I hope these insane letters show up in any hearing these beserkers appear at to give their “expert” Pit Bull advice. Cherie Graves is obsessed with property rights! “Amendment 5 – Trial and Punishment, Compensation for Takings. Ratified 12/15/1791. Amendment 14 – Citizenship Rights. Ratified 7/9/1868. So, how does the little pea brain of Cherie Graves conclude that first “animals are the most ancient of property of humans” and second that our constitution protects these rights? RDOWS=Radical Dog Owners of the Western States. Cherie Graves, did you cath that? YET. The tide is turning. The human race is progressing and unfortunately leaving behind you and your people who think that it is just fine and dandy to do what you want with your “property”. Your heroes of the roman empire are dead lady and good riddance! 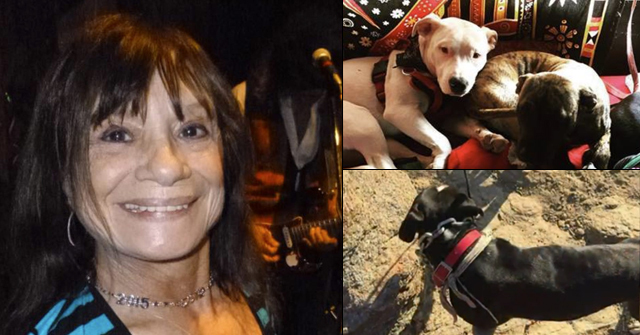 If there is an internet discussion surrounding a pit bull attack in any area that is considering BSL, Cherie Graves will come in and essentially shut the conversation down by spamming the board or forum with lengthy, hysterical diatribes on her organization and position. I have witnessed this. Usually moderators at the news outlet where the discussion originates have to shut the forum down because of Cherie. She is not interested in rational debate; she is part of the lunatic fringe of the pro-pit movement. They know the average owner cannot properly handle and properly confine these “game-bred” creatures. They’ve staked out a path of deceipt in order to sell more dogs. The victims are calculated collateral damage. The conduct is remeniscient of the tobacco companies in the 50’s when they actually used doctors to advertise the healh benefits of cigarettes. Noticeably absent is the fact that Pit Bulls have killed 4 americans in the past 60 days! All kinds of property are regulated by the state: Dynamite, M-1 Tanks, fissonable materials etc…The Supreme Court ruled in 1897 that states may regulate Dogs as property. The only question really is: Are Pit Bulls unreasonably dangerous property? Schultz, many of these sites ARE for dogfighters….despite the disclaimers. I just went on game-dogs.com and read a quick thread; they are talking about “bloodlines”, and mentioning fighting lines. Most of us who are not part of the dogfighting world may not understand all of the terms and vernacular used, but its clear that “Boudreax lines” are fighting dogs. You would have to be some sort of idiot to think that all of these back yard breeders and kennels being mentioned are breeding “pets”. I would like to circulate a letter that came to our city council after I asked for some protection for our neighborhood. It came from “Responsible Dog Owners of Western States”, Illinios Director. This woman names me, 18 times, most people think she probably needs proffesioal help. This is a must see letter. I’m trying to get out as many copies of this letter as I can. The idea is kind of like what Archie Bunker did for some of the issues of his time. Maybe when people see what these people are really like, in their own words, they will understand why this problem continues. In her letter she claims there is no such thing as a pit bull, then she uses the term “non-existant breed” ,she says “pit bull” can refer to as many as 30 to 35 different breeds even Labradors, then in another part it changes to ” the pit bull created by the media are comprised of at least 20 different breeds”. I didn’t think there was as many ways to call me a liar as she thought of. In short this letter reads like someone drank half a bottle of wiskey while watching a Perry Mason marathon. I would like some help getting this letter out there.